This is Part Three of the Matthew 6:21 Series. 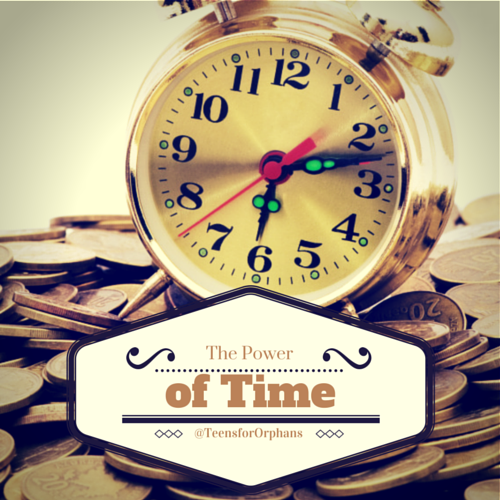 We’ve been contemplating different types of treasure in our lives and how they can be recognized and utilized to help others, especially orphans. Things like personal knowledge instead of distance acquaintance and the value of time. This post is about the power of possessions. Possessions are a more obvious treasure, similar to the most obvious treasure–money. My first thought when I began this post was of the man who built bigger barns in Luke chapter 12. As with all the treasures God gives us, the purpose of possessions is not to hoard them for ourselves. This can be hard for any of us to remember. We enjoy our comfortable lives. There is nothing wrong with that. When my brother and I went on a missions trip this summer, one of the missionaries encouraged us not to feel guilty when we went home. God placed you where you are for a purpose. So, yes, don’t feel guilty about what you have. Whether you have much or very little, God gave it to you for a reason. Your job is to be a wise steward. 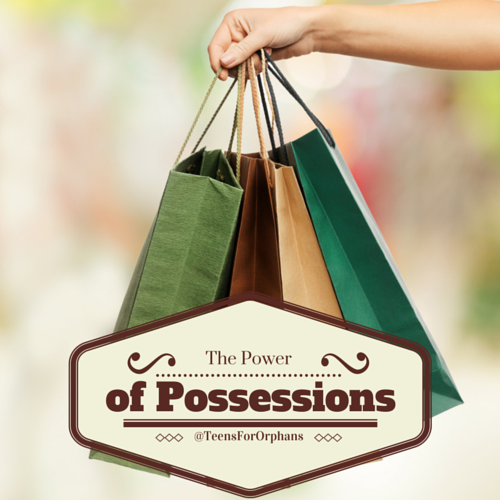 Look at what you have and determine how you can use those possessions to serve God. Most of the time when I contemplate that question, my first thought is getting rid of stuff and giving it away. Sometimes that’s an accurate conclusion. If the rich man had given away his grain with a heart of service, his story would have had a much happier ending. When Jesus showed the rich young ruler where he lacked, he asked him to sell all that he had and give to the poor, and by so doing lay up treasure in heaven. However, being a good steward of your possessions does not necessarily mean getting rid of them. Instead of limiting yourself to disposal, challenge yourself to find creative ways to employ your possessions for service. Recently, I’ve been able to share books from my small-but-growing library of orphan care books with a family beginning the adoption process. Some unused stocking stuffers from last year went into Operation Christmas Child shoeboxes. Stationary and stamps can be used to write letters of encouragement. Just like the purpose of a candle is to shed light, the purpose of treasure is to be used for service. When it is stored away, hidden for only one person to enjoy, it’s potential is wasted. Don’t let the things you own become a candle under a bushel! Can you think of and share some creative ways to use what you already have to serve others? 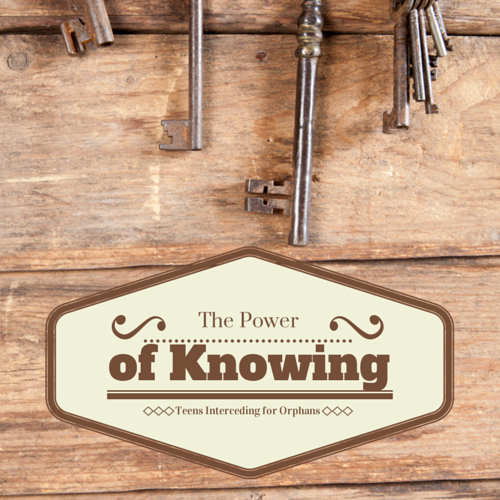 What are some other ways we can learn from the man who built bigger barns and the rich young ruler? Over the past few months, I’ve been contemplating what causes us to become invested in certain people, organizations, and causes. What makes us form emotional attachments or diligently pursue something when there are few positive emotions present? As I’ve been thinking about the subject, Matthew 6:21 has continuously popped into my mind. Usually when I see that verse, my first thought is “treasure = money.” But that’s not necessarily the case. There are many things that we value. Over the next few posts, I’m hoping to do a series of blog posts examining different “treasures” and how they affect our attitudes towards orphans and ministering to orphans. This particular post has it’s roots in a video one of my best friends shared with me about a month ago. The Courage Home video introduces viewers to two young American women and the eleven special needs orphans they are fostering in India. As I told my brother earlier this week, I knew as soon as I saw the video that I was a “goner.” That realization actually confused me a little. As much as I love orphans, the special needs spectrum usually overwhelms me. Because of this, special needs orphans and ministries that reach out to them rarely captivate my attention. The Courage Home grabbed not only my attention but my interest and enthusiasm. Why? I think it’s because they are known. The children at the Courage Home are not pictures with a brief, descriptive bio. The posts made about them are not put together by representatives living far away. They’re not being explained by aid workers who only spent few days with them. Instead, these children are introduced through the love, concern, and knowing of their foster moms. I have such respect for people like Tori DiMartile and Nikki Cochrane because they have left their homes, family, culture, and comfort to know and love these children. I am grateful for them (and others like them) because they make it possible for others to know and love as well. Their work is a beautiful picture of the gospel. Jesus left his place in heaven to come to earth and know, experience, and love humanity. By that process, he became the bridge between heaven and earth; the mediator between mankind and the Heavenly Father. Jesus understood our need to be known. Instead of being a benevolent but impersonal God, he took the form of a man. We form connections by knowing. Not just knowing facts and figures, but knowing hopes and dreams, personalities and habits, hurts and joys. We put more effort into getting to know people we like, and the people we become closest to are often the ones we love the most. If you want to help and understand orphans more effectively, strive to know them and the people working directly with them. Even more importantly, throw yourself into knowing God more fully and allow Him to give you His heart for the fatherless. Can you think of any ways to know the fatherless? Can you think of other “treasures” that guide our hearts? P.S. Louise, the current Advocate & Pray child, is from the Courage Home. Consider joining the prayer chain and sharing the post to help her fill her sponsorship needs! Read more of the Matthew 6:21 Series.